Head on over to Office Depot where you can get Buy Two Get Two Free 16 and 18-Count K-Cups with coupon code 93107726 at checkout. This would be a great time to stock up on brands like Eight O’Clock Coffee, Starbucks, Green Mountain, Newman’s Own and more! (2) Eight O’Clock Original Coffee K-Cup Pods 18-Ct Boxes $9.99 ea. 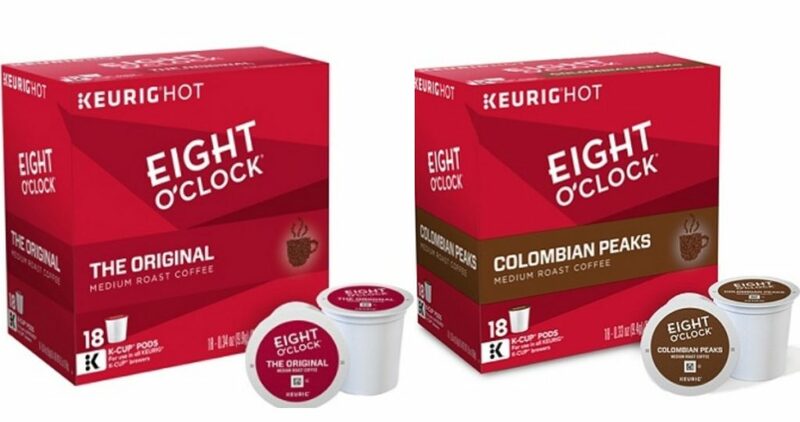 (2) Eight O’Clock Columbian Coffee K-Cup Pods 18-Ct Boxes $9.99 ea. Offer valid through 9/15. Shipping is free with Subscription Delivery.